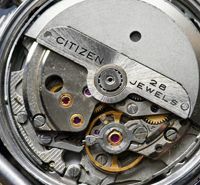 The Movement Table provides a time line of Citizen’s vintage watches, listed by model name and in chronological order, together with key information as far as is known about each one. However, it is also interesting to see at a glance how base movements were used not only for a particular model, but also for other models and over time. To do this a ‘family tree’ is useful, where the base movement is shown along with the original model it was used in, but adding as well the other models where that base caliber was used. Sometimes there is a wide variety of models which at first glance may not appear to be closely related, as is well demonstrated for example in the 02 ‘Homer’ family. Links to the Family Trees can be found at the bottom of this page. I hope the trees are fairly self-explanatory, with the base movement / model shown at the top. Each tree then branches downwards, colour coded to see the development lines. In the box for each version of the movement I show the year of first production, jewel count and any model variants, plus any specially noteworthy points. At the bottom of the tree is a box showing common attributes for all models. Hi Shaun, thanks for visiting my blog. I’m afraid I’m not too familiar with the more recent quartz movements and models so I can’t be too much help. Yours uses the 3630 movement, but I don’t know when that was first produced. Looking at a few pics on the internet, it looks to me to be from the 1990s. If so yours is from May 1995 (‘505′ at the start of the serial number). ’36-4916’ is the model number, ‘3630-891309’ is the case number which also provides the movement number. ‘GN-4-S’ is the case type, indicating a water resistant design. Help me identify my watch. Thnks. Hi, thanks for visiting my blog. 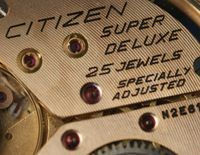 Your watch is an automatic that uses the 8200 movement Citizen first produced in 1976. 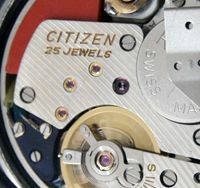 As Citizen focussed more and more on quartz technology, this movement became their workhorse mechanical watch for over 30 years. From the details you have given, yours is one of the earlier models, which were made with gold, silver/white or black dials. 4-820461 is the case number, which helps identify the movement, and 51-0751 is the model number. I have seen this model with a black coated case – is yours the same? The first three parts of the serial number – 80500927 – tell us that yours was made in May 1978. Many thanks sweephand. May you have a picture for compare with my own?? Thank u.
Hi Alin, thanks for visiting my blog. 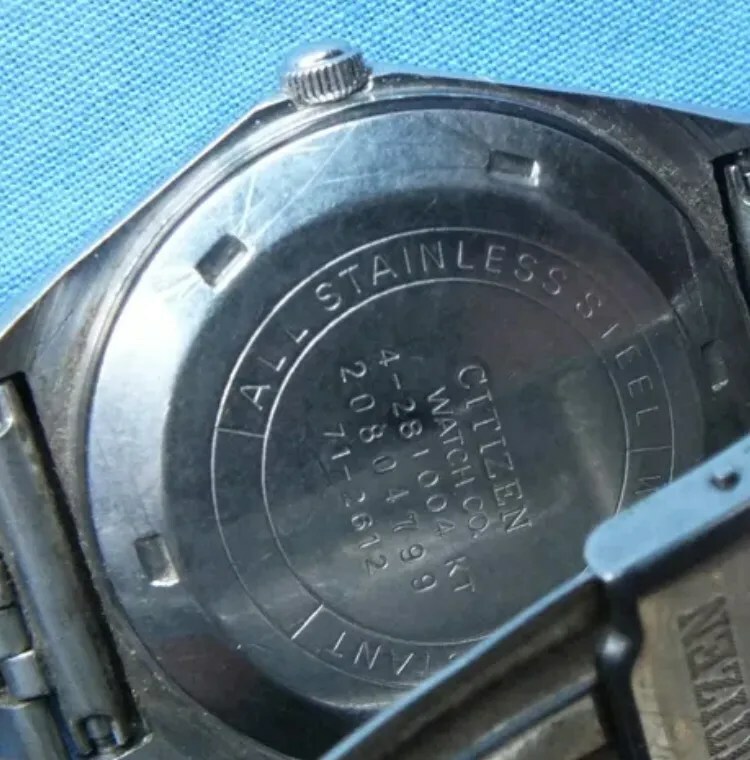 You have an 8200 Eagle 7 automatic watch, which I believe is from July 1989 (see first three digits of the serial number). Keep doing a great work on this blog! I found your blog while looking for some info on an Eagle 7 I recently bought. If I can send you a few pictures somehow I wonder if you could help me identify its authenticity and age. The Eagle 7 line was launched around 1980, and the serial number on yours gives a production date of August 1982, so it’s a relatively early Eagle 7. 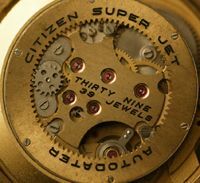 The 8 digit serial number is typical for that date and the rotor on the movement is also an early type. Btw it’s still possible to get an original replacement glass for this model. That is great info, thank you very much. It turns out that the watch is just a few months younger than me. I hoped that it was genuine but I couldn’t find a single other one with that same dial to compare it to. I am still waiting for delivery of the watch so I don’t know exactly what state it is in, only that it is not working. If you look closely you can see the second hand is loose inside the case. I’m hoping to get it working and restored to its former glory so I’m glad the glass is available. Do you have any idea where I can get one? I’ve searched online and can’t find anything. I’m not necessarily looking for the highest quality watch, but I would like to know if it’s the genuine article. Any idea? Hi Dan, thanks for visiting my blog. The watch has been re-dialled. The 8210 movement and case look to be original, although the case has probably been heavily polished. The quality of the dial and date window is not too good. 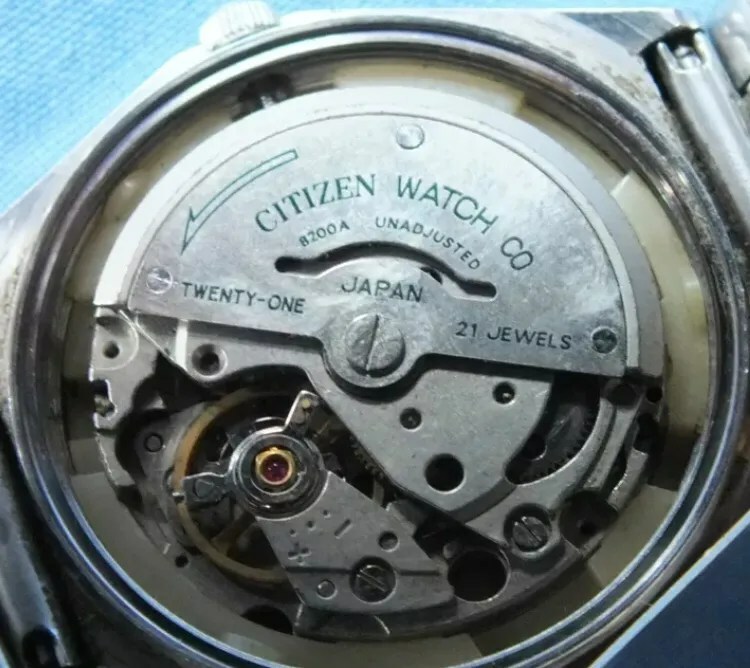 ‘JAPAN MADE’ was not used on original pieces, and there should be a dial code printed below the 6 o’clock marker. Thanks for the comments. I suspected that it would be too good to be true at that price! You’re welcome Dan – you should be able to find an original 8200 auto for a decent price. One of the best indicators of an original dial is the dial code. These are usually just below the 6 o’clock marker, and typically start with JAPAN (not ‘Japan Made’) then the movement number followed by a dash (‘JAPAN 8200-‘) and then the specific numerical. 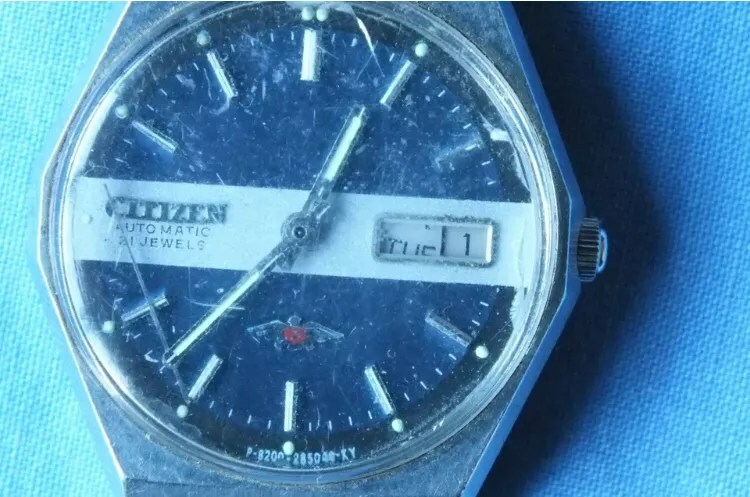 can you please help, i was left a citizen watch a few years ago but cant seem to find anything simular online or any info on it. It doesn’t seem to appear on the 52 family tree.., so i am assuming its in the custom range ? The watch has a black dial face inside a stainless steel setting. It also has chevrolet south africa on dial face. Hi Dennis, thanks for visiting my blog. Your watch is a quartz model so I’m afraid I don’t have much information. I would think your watch is from 1991 but I can’t be sure. 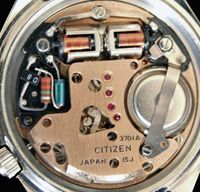 5930 is the model number, and indicates that there is a 5930 movement inside. Arrow pointing to 9 shows where the case back can be prised off, i.e. the 9 o’clock position. Thank you very much for your quick reply. I thought it was from from July 1981 after reading yur older posts, but i just wanted to be sure. Have a great day! Is it possible to post a picture in a reply? Thank you, I thought so. Here are a few photos of my Eagle 7.It’s in a great condition, considering age, so I was wondering what would be a fair price for it since I have some offers? Thank you very much for your effort.